The Royal Mint is the offical producer of the coins, stamps and Banknotes of the Templar Kingdom. 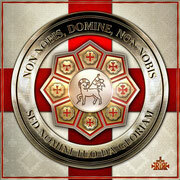 The Royal Mint is in under direct control by the Templar Kingdom goverment. Head of the Royal Mint is the Arch-Duke. At times the Royal Mint does print banknotes for other micronations, but does not design them for them.